We are open 24*7 for Emergencies at Deccan. Approximate wait times will be shared. However, please do make allowances for emergency patients! Machine takes your pictures, just like a camera. The advanced machines give far better quality which helps the radiologist and your doctor understand your problem. No. You just have to lie down for 15-20 minutes or as per the time requirement of your study. The required time depends upon what study needs to performed, cooperation from the patient, requirement of sedation or contrast. Yes, you will get a CD for the scan. You will get the films in fifteen minutes. MRI is a special technique that uses powerful magnets, radio waves and computers to produce detailed images (or scans) of the inside of the body. MRI scanners do not use X-ray. The patient is not exposed to any radiation dose. MRI can often show things that aren’t seen on an X-ray or in other tests such as an ultrasound. What does an MRI scanner look like? An MRI scanner is a device in which the patient lies on a moving table within a large, powerful magnet where the magnetic field is used to construct an image of the scanned area of the body. The latest 3.0 Tesla MRI at Star Imaging is very patient-friendly with wide bore tunnel, short scan times,more light inside the tunnel thus making it less claustrophobic for the patient. What will happen when I arrive at the MRI reception? As MRI scanners use very strong magnetic fields, before you enter the scan room, the staff need to make sure you do not have any metal objects on you. Remove watches, belts, keys, coins, jewellery etc. 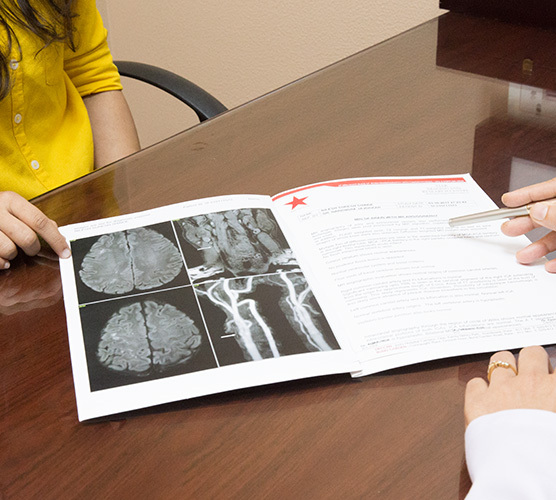 MRI scans are performed by specially trained radiographers/technicians. Your scans will be viewed by a radiologist, a specially trained doctor who specialises in looking at images of patients. The radiologist may ask the radiographers to take additional scans while you are inside the scanner. In a rare instance, you may be recalled for additional sequence if required. What will happen when I am inside the scanner? The radiographers will help you onto the couch. They will position a coil over the part of your body that’s going to be imaged. They will then slide you on the couch into the magnet. Once the radiographers have positioned you inside the scanner, they will go out of the room into a room next door. They will be able to see you at all times through a large window. Also, they will be able to talk to you and listen to you through an intercom system. They will ask you to remain as still as possible during the scan. They may also ask you to do things such as hold your breath for a few seconds while they are scanning. You may not be prepared for the noise that an MRI scanner makes. While scanning, MRI scanners make loud “banging” or “clunking” or “buzzing” noises which are quite normal. The radiographers may issue you with ear protection before helping you into the scanner. You also have an option to use headphones so that you can listen to music during the scan. Sometimes a special dye (contrast medium) is injected into a vein in your hand or arm during the scan to produce more detailed images. If you have kidney problems or allergies, please tell your radiographer beforehand. You may speak to the reception/technician before an individual study. I'm claustrophobic – will I be able to have an MRI scan? Many modern scanners are now shorter and have very large bores. The inside of the scanner is well lit and has its own ventilation. Usually the part of your body being scanned is placed in the middle of the scanner. The machine is open ended so you won’t be completely enclosed at any time. The radiographers can see you at all times during the scan. They can see you through the window from the control room. Some scanners even have closed-circuit television cameras inside them so the radiographers can see you on a television screen in the control room. There is a two-way intercom inside the scanner so that the radiographers can talk to you and you can talk to them at any time. And all scanners have an alarm button for you to hold while you’re in the scanner. If you need help at any time, you can push the alarm and the radiographers will help you. If you are severely claustrophobic and don’t feel you can go in a scanner, you should discuss your concerns with your GP, radiologist, physician or the staff of the MRI unit. You can take a friend or relative with you to keep you calm. Lastly, you also have an option of receiving mild sedation by a qualified anaesthetist. You will usually be able to go home after completing your study. However, if you have received a sedative during the scan, it can temporarily affect your co-ordination and reasoning skills, so you must not drive, drink alcohol or operate machinery for 24 hours afterwards. Before leaving, you will be informed about when you will get your reports. 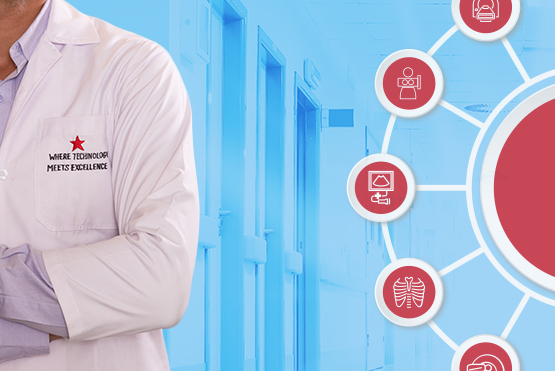 As and when your report is ready, you and your referring doctor will get an SMS and email. If any other query persists, feel free to speak to the reception or radiologist. We have centres at Deccan, Bund Garden Road and Akluj. Choose the one most convenient for you.